Derren Brown’s Infamous Tour … Awesome Sauce! Pickpocket Training … The Professional Opportunist Way! Derren Brown’s Svengali Tour … Brilliant! Derren Brown’s Enigma… Awesome Show!! You know when you see an object, or hear a song and it instantly takes you back to a moment, and you begin to experience feelings and emotions as if you where re living it. This is essentially what anchoring is, and this is an association we can force and link with an action, sound or situation. We can use this via an NLP approach, or using Hypnosis in the form of a post hypnotic suggestion based trigger. Wikipedia Definition – Anchoring is a neuro-linguistic programming term for the process by which memory recall, state change or other responses become associated with (anchored to) some stimulus, in such a way that perception of the stimulus (the anchor) leads by reflex to the anchored response occurring. The stimulus may be quite neutral or even out of conscious awareness, and the response may be either positive or negative. They are capable of being formed and reinforced by repeated stimuli, and thus are analogous to classical conditioning. So its all very interesting, but what good is the knowledge of anchoring to anyone. There are many benefits from a treatment perspective, as well as being a professional in general. In both of these scenarios the subject can focus, concentrate and imagine themselves in a situation of peacefulness, happy, or situation where confident assuming this is the goal. When the subject is in this state, reliving, seeing, feeling, hearing everything associated with this experience, and as it builds this can be anchored to a touch to a specific part of the body. The result should now be that this pleasurable, confident feeling or what ever it may be can be instantly associated when the specific part of the body is touched. These anchors don’t last forever so in the case of therapy should be reinforced on a regular basis, but I am sure its clear to see how this can help when perhaps nervous about giving a presentation, or a situation that may make you nervous, triggering the anchor to give you a boost. I know what your thinking, this is all well and good, but I am a social engineer, I am about manipulation and getting the job done, I am not interested in therapy for others, and trying to cheer people up when they are feeling down. So don’t you think there may be situations where it would be advantageous to bring someone into a cheerful state when you are trying to manipulate them? Are we not more responsive and accommodating when happy, rather than sad? How about creating a situation of confusion or doubt, where there is uncertainty in your presence somewhere. These are all situations you can generate and then anchor for later use, alternatively if you observe a naturally occurring anchored sequence that could be used to your benefit, you can simply steal that anchor. As with other methods I have described, my standard approach to these techniques is to carry out the work in a non work environment, so in a bar, cafe etc. A simple effect for confusion could be making someone think green was yellow, and then anchoring that confused state to an arm tap. If you decided to go the hypnosis route, its really more a post hypnotic trigger. So you will give someone instruction under hypnosis that at a later date when you show them something, say something or touch them somewhere they will act in a certain way. Under hypnosis the trigger can be alot more detailed, and seems to last for a longer period of time. Obviously creating the opportunity is the really difficult part, so that will all be dependant on people styles and how touchy feely, both you are your subject are, as obviously for anchoring some physical contact is usually required. So this is pretty easy for you to practice with a friend or partner, if you look on YouTube you can see various videos of people doing this. Essentially get your friend or partner to close their eyes and remember a time when they feltÃ‚ a great sense of well being, get them to develop that thought, so they are back there now, seeing what they say, hearing what they heard. As you see the smile, grin or laughter give a firm touch to the right knee (as an example), I normally add the comment of “Thats Right” as you re-experience those emotions now. Now have them relax and become kinda neutral in feeling, then touch the knee again, this should bring a smile to the face, having them once again experience those positive, enjoyable thoughts, putting them into a happy state. It sounds simple, and it is. Get permission from those you practice with, remember to be responsible and ethical. You can practice anchoring on yourself, however I find trying to focus more difficult as you try and remember what your doing, so leave this until after you are familiar with the process. has worked in IT since 1998, Infosec since 2004, and studied and performed hypnosis, mentalism etc since 2009. Dale is a full time Red Teamer with a love of social engineering and qualified hypnotherapist. He spends a great deal of time researching the various skills and techniques that make up the art and science of Social Engineering. Again, a wonderful article about anchoring. And you don’t necessarily need to set a kinesthetic anchor, eg touching them. If you watch Tony Robbins on the stage for example, he sets gestural anchors that he fires later on when he wants his audience to get into a specific state. In NLP trainings we do this all the time. And it works a treat for getting people into a state. loads up very fast! What web host are you using? 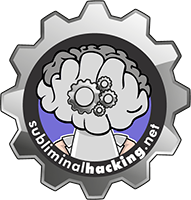 Copyright © 2019 Subliminal Hacking All Rights Reserved.